Well hello there, favorite month! October has passed by in a blur and all of a sudden, you're here! And I am so, so excited. Oh, it's going to be a heck of a busy one - just like any other month, really, because look at that, my planner says all weekends are already full! - but I'm psyched, anyway. 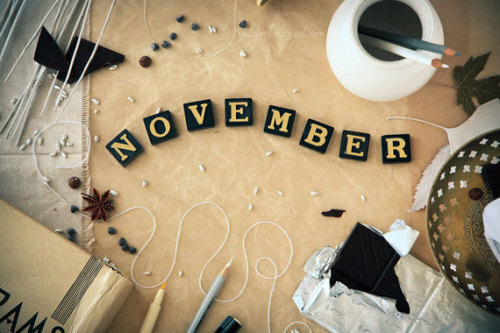 I know this month is going to be fantabulous. Tigana by Guy Gavriel Kay - The book club's book of the month. On identity and memories. 4/5. Guardians of Tradition: The Gawad sa Manlilikha ng Bayan by Mae Tobias - Preservation of Filipino culture and tradition. 5/5. Woman In A Frame by Raissa Rivera Falgui - Filipino historical fiction. Rating temporarily withheld. Voices in the Theater by A.S. Santos - Paranormal society, angels, demons. Rating temporarily withheld. Salingkit by Cyan Abad Jugo - Filipino historical fiction + new wave. Rating temporarily withheld. 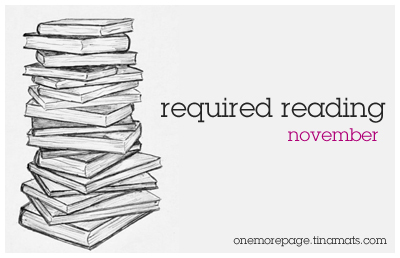 Eleanor & Park by Rainbow Rowell - Hello, fluff and fuzz. 4/5. Fortunately, the Milk by Neil Gaiman - Fun, fun read! 4/5. Drown by Junot Diaz - Carried over. The New York Trilogy by Paul Auster - The book club's book for the month. My first Auster. Drown by Junot Diaz - The wild card entry for my F2F poll (theme: short stories), to be held on February 2014. Carry-over from last month. I love it that Penguin publishes The New York Trilogy. Such beautiful editions! Yours is quite elegant! PETER: Thank you! Although it's funny that I couldn't find that particular cover in the Book Depository site now, from where I bought it. Haha!